An industrial switch is a device used to interrupt or redirect the flow of electricity within a circuit. The electronic switch is a simple binary device as it can only be open or closed. Open allows electrons to flow and closed stops the flow. Industrial switches operate in the same manner as household switches but are offered in different styles to suite the industrial applications. Limit switches - used when a presence or position of an object is required. Theyre usually electromagnetically operated, activating when an object makes physical contact with the actuator. Reed switches - composed of two ferrous reeds in a small glass casing. The switches are magnetised and move when the magnetic field is moved towards the switch. You can see this if you place a tablet inside a protective case, it switches off as the magnet activates the reed switch. Rotary switches - an alternative to a toggle or side switches, rotary switches allow the user to turn a knob or shaft that increases or decreases the resistance conducted through the contacts dependant on the direction of turn. Rotary switches allow different actuation positions, turning different circuits on/off or increasing/decreasing the value of the circuit. Some rotary switches can be configured to control multiple contacts simultaneously at a single switch position. Thermistors - turn circuits on and off dependent on changes in temperature. NTC (Negative Temperature Coefficient) thermistors resistance changes as the temperature drops and are commonly used as a temperature sensor. PTC (Positive Temperature Coefficient) thermistors resistance increases as temperature rises, commonly used to provide over current protection. Thermostats - used to regulate temperatures of liquid or gas. There are two main types of thermostats, capillary and bimetallic. Isolator & switch disconnectors - used to ensure that a circuit is completely powered down in order for it to be serviced. They isolate a given part of the circuit by cutting off its electrical supply, making it safe to work on. 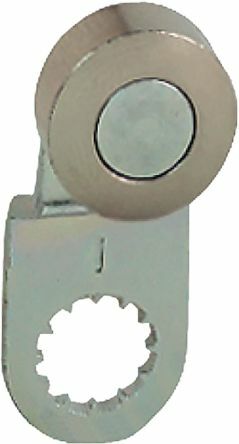 Non-fused switch disconnectors - provide the same functionality as switch disconnectors but instead of using a fuse to break the circuit, they use either a rotary or knife-blade disconnect. Telemecanique OsiSense XC series limit switch heads for use with plastic or metal body XC series limit switches. A wide range of actuator heads are available to suit various applications. 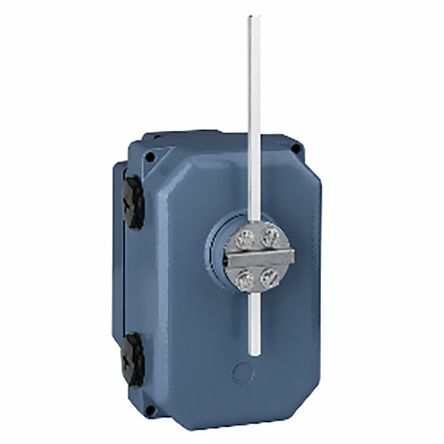 IEC limit switches dedicated for specific applications such as hoisting, Mining, Minerals & Metals or belt conveying. 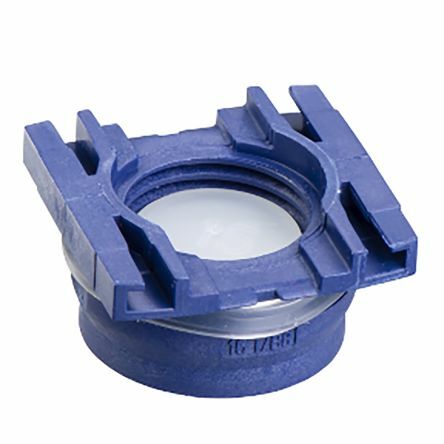 Cable gland entry - M16 x 1.5 - for Limit switch - plastic body.